The Spring 2019 Symposium focuses on a key issue in today's manufacturing and supply chain environments: Manufacturing & Supply Chain Talent Transformation: People or Robots? 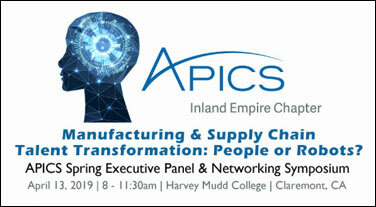 CLAREMONT, CA – March 19, 2019 APICS Inland Empire Chapter (APICS-IE), the leader in accreditation of supply chain and operations professionals, part of The Association of Supply Chain Management (ASCM), is proud to announce the Spring 2019 Symposium line up of experts who will talk about the talent pool and future needs in manufacturing and the supply chain. The Symposium focusing on, “Manufacturing & Supply Chain Talent Transformation: People of Robots?” will be held on Saturday, April 13, 2019 from 8am – 11:30am at Harvey Mudd College in Claremont, California. The panel will feature four key executives experienced in the talent needs within manufacturing, the talent pool as it exists today and the skills needed as robots, automation, Artificial Intelligence (AI), other technology and customer expectations transform manufacturing and the supply chain. 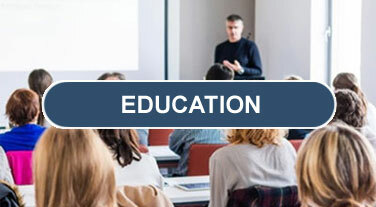 Arbela, Reveel and the Manufacturing Executive Institute are sponsors of the APICS Inland Empire (APICS_IE) Fall 2018 Symposium on Saturday, November 3, 2018 at Harvey Mudd College in Claremont, California. 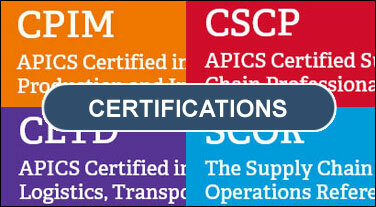 APICS Inland Empire Chapter (APICS-IE) is the leading association for manufacturing, distribution and logistics professionals focused on the end-to-end supply chain and operations. This event marks the sixth year that APICS-IE convenes a Fall conference and expert panel to share insights on global supply chain trends and strategies. APICS Inland Empire Chapter (APICS-IE), the leading association for supply chain and operations professionals, is proud to announce the Fall 2018 Symposium line up of Innovation and Global Trends Experts. 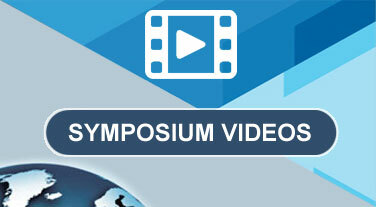 The Symposium is focusing on: “Advancing Innovation & Navigating Global Trends”. The event will be held on Saturday, November 3, 2018 from 8am – 11:30am at Harvey Mudd College in Claremont, California. APICS Inland Empire Chapter (APICS-IE), the leading association for supply chain and operations professionals, is proud to recognize key sponsors for the Fall 2018 Networking Symposium and Expert Panel. The event is themed: " Managing Rapid Growth when Manufacturing & the Supply Chain are HOT!". The event will be held on Saturday, May 5, 2018 at Harvey Mudd College in Claremont, CA. (APICS-IE), the leading association for supply chain and operations professionals, is proud to announce the Spring 2018 Executive Panel. The Symposium is focusing on: “Managing Rapid Growth When Manufacturing & the Supply Chain Are Hot”. The event will be held on Saturday, May 5, 2018 at Harvey Mudd College in Claremont, California. APICS Inland Empire Spring Symposium on May 5 at Harvey Mudd College - "Managing Rapid Growth When Manufacturing & the Supply Chain is Hot"
APICS Inland Empire Chapter (APICS-IE), the leading association for supply chain and operations professionals, is proud to announce the Spring 2018 Executive Panel and Networking Symposium focusing on: “Managing Rapid Growth When Manufacturing & the Supply Chain Are Hot”. The event will be held on Saturday, May 5, 2018 at Harvey Mudd College in Claremont, California. Instantaneous Data, Autonomous Vehicles, Total Visibility, Block Chains, Increased Capacity, Uberization of Transit, Machine Learning, Specialization, Compliance and Transformative Movement were key topics discussed at the 2017 Fall Symposium hosted by the APICS Inland Empire Chapter (APICS-IE). APICS-IE, the leading association for supply chain and operations professionals in the Inland Empire area of Southern California assembled a panel of key industry experts to discuss their experiences in "Leveraging Technologies for Supply Chain Success". APICS Inland Empire Chapter (APICS-IE), the leading association for supply chain and operations professionals, announces the addition of Thomas Jelenic, Vice President of Pacific Merchant Shipping Association to its Expert Panel that will discuss their experiences in “Leveraging Technologies for Supply Chain Success"..
APICS Inland Empire Chapter (APICS-IE), the leading association for supply chain and operations professionals, is proud to announce the Expert Panel assembled for the November 4, 2017 Symposium: "Leveraging Technologies for Supply Chain Success". APICS Inland Empire Chapter (APICS-IE), the leading association for supply chain and operations professionals, is proud to announce the Fall 2017 Networking Symposium and Expert Panel focusing on: "Leveraging Technologies for Supply Chain Success". The event will be held on November 4, 2017 in Corona, California. Supply chain professional and manager, Parizad Sethna, has been awarded the LMA Consulting 2017 Advocate Award. LMA Consulting Group, a well-known leader in Supply Chain innovation and transformation recognizes that collegial collaboration is key to continued growth and the success of an industry that “connects the dots” between raw materials and the end user. "I was also very pleased to recognize those who have contributed greatly to APICS-IE's success in providing value to the manufacturing, distribution and transportation communities. These events are packed with value for students, professionals and executives and require a lot of pre-planning, organization and coordination to pull off successfully, and we could not have done this without our board and volunteers" says Lisa Anderson, President of APICS-IE and LMA Consulting Group. "We have an amazing panel of experts to help our attendees meet the challenges of disruptive change," says Lisa Anderson, President of APICS-IE and LMA Consulting Group. APICS Inland Empire 2016 Fall Symposium panel will discuss Navigating the Global Supply Chain. Lisa Anderson announces the APICS-IE executive panel and networking symposium panelists and topic. Lisa Anderson, chair of the West Coast Student Case Competition announces the competition.